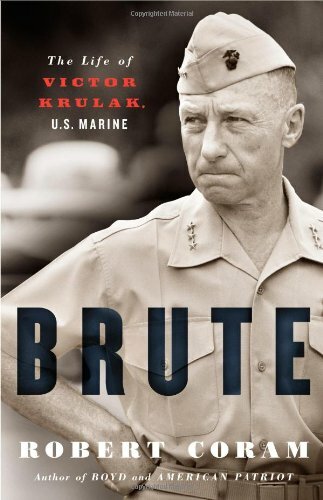 Biography of LtGen Victor “Brute” Krulak (USMC, Ret.). He went on daring spy missions, was badly wounded, pioneered the use of amphibious vehicles and use of helicopters in warfare, and masterminded the invasion of Okinawa. In Vietnam, he developed a holistic military strategy in stark contrast to the Army’s “Search and Destroy” methods. Yet it can be argued that all of these accomplishments pale in comparison to what he did after WWII and again after Korea: he almost single-handedly stopped the U.S. government from abolishing the Marine Corps.